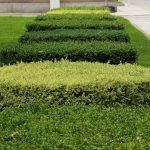 Free Markham hedge trimming estimate, contact us today! Serving as natural fences and protecting your landscape from the elements, hedges and shrugs are an impressive and beautiful way to spice up the look of your Markham area home. Of course the only issue is that regular maintenance is required to keep them looking their best. If you do not perform regular maintenance on your shrubs and hedges you will see just how fast they become overgrown and unsightly. 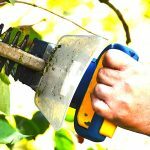 It’s understandable that many people are seek hedge trimming in Markham as many people have extremely busy lives and when they do have the free time to go out and trim or cut their hedges they are more interested in relaxing. If you’re like most people you’ve had trimming your hedges and shrubs on the to-do list for many weeks but just never seem to get around to it. It’s a good thing you found us – we provide full Markham shrub and hedge trimming services. iTrim4U provides a complete Markham hedge cutting and trimming solution. We specialize in this service and will keep your property looking great. 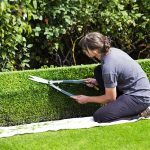 We provide full services, whether you need a single trimming to help you with your regular maintenance or you’d like to leave the whole job up to us – we can keep your hedge looking fantastic year-round. Trimming A Hedge Is Not Just For Looks! Remember, scheduled trimming of your hedge is very important, not just for looks either. If you fail to trim your hedge regularly it can quickly grow out of hand and end up as a bit of a small, ugly tree. When this happens there is not much that can be done to restore the original beauty of your hedge, we must dig it out and replant new ones. So it’s a good idea to have a hedge trimmer provide their services on the regular – if you find yourself in this position just give us a call! 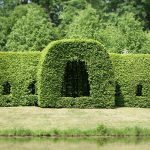 Contact us for all Markham hedge trimming at 905-259-5138, alternative you can contact us using our Markham hedge cutting estimate form. Yes – we trim cedar hedges as well! 10/10 Chris and his staff are terrific. 10/10 iTrim4U was fast and efficient, and they did a great job. ★★★★★ Excellent service! Chris is very personable and customer oriented. ★★★★★ The price was great, the service was on schedule and the clean up went beyond our expectations. ★★★★★ Great team. Highly recommend their service. ★★★★★ We were extremely happy with the service provided by Chris and his team. ★★★★★ Chris and his staff are outstanding. 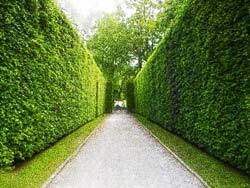 Not only do we provide hedge solutions but we will also trim and cut any shrubs that require our services. Just like hedges, shrubs need regular maintenance to look their best and not be subjected to overgrowing. Remember, if you have shrubs that aren’t being maintained you may just have to have them removed down the road. We can help! For all shrub trimming Markham needs you can rely on iTrim4u. Need a Markham shrub or hedge trimming quote? What is The Best Season to Trim Your Hedges?